Cinnamon Bark Essential Oil that we offer is known for its sweet and pervading aroma. This soothing oil is known for its numerous health benefits and healing properties. 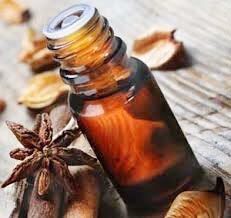 Cinnamon Bark Essential Oil that we manufacture, export and supply is extracted using steam distillation process, which make use of the bark of cinnamon. Moreover, our Cinnamon Bark Essential Oil is known for its antibacterial, antioxidant, antiseptic, aphrodisiac and various other properties.